Suppose a Christian is driving his car, and in a moment of frustrated road rage, he cusses out another driver. Then while he was not paying attention, he gets in an accident and dies on the spot. So he never got a chance to confess his sin to God. He never got a chance to repent. Does he go to heaven or hell? Suppose it was a more serious sin. Suppose he pulled out a gun and shot another driver, then while he was trying to flee the scene, he got into an accident and died. Does that change your answer? Is there a specific degree of sin that will change your answer?Eternal security is the belief that a genuine Christian can never be lost. They were predestined to be saved, and hence how could they eventually be lost if God predestined them to salvation? There are different versions of this. Some hold that if someone falls away, it is testament to the fact that they were never saved. Others say that if a genuine Christian falls away, it is only temporary and he/she will eventually come back. Still others say that it does not matter if they backslide, God will take them to heaven anyway, kicking and screaming.Free will on the other hand holds that believers are responsible for the decisions they make and as a result may choose to stop being saved. In many places, the Bible teaches “whosoever will …”, thus free will does not necessarily negate the grace of God. If free will factors in to someone’s salvation, then logically free will can also factor in their forfeiting of salvation.Others opt for an in-between position. They considerthe truth to be some combination of both free will and predestination. But what is that combination? Calvinists are those who hold more strongly to predestination than free will. e.g. A Calvinist may say that a believer is predestined to be saved, and in the fullness of time, God so strongly influenced his free will that he had to respond in the affirmative. Some call this irresistible grace. An obvious objection is that if God could do that for one person, why can’t he do it for all, since he wishes all to be saved? And if he didn’t do it for a particular person, why is he then angry with that person for rejecting the gospel? Arminians are those who have a stronger view of free will than predestination. e.g. An Arminian may say that a person chose to be saved, and predestination applies only in a general sense. But how does this account for scriptures like Acts 13:48? Acts 13:48b … And as many as had been appointed to eternal life believed. The predestination vs. free will (Calvinism vs. Arminianism) debate has waged for centuries. I do not believe that we will fully understand many things until we see Christ face to face when we will know, not in part, but fully, even as we are known. 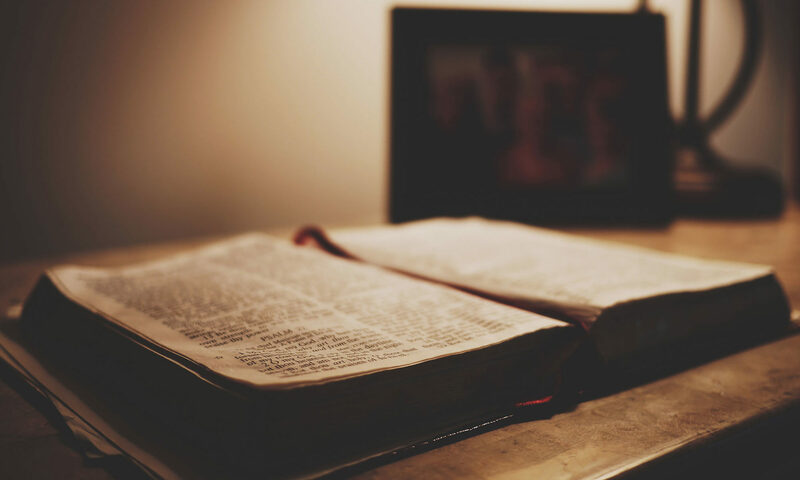 This article does not attempt to reconcile all the scriptures concerning predestination and free will, only those pertaining to eternal security. What does the Bible teach about eternal security? with us: but they went out, that they might be made manifest that they were not all of us. There are a few passages that seem to teach eternal security (that a believer cannot ever be lost) – John 10:28, 29; Phil. 1:6; 2 Thess. 3:3; 1 Pet. 1:5; 1 John 2:19; Jude 24. There are also those which seem to teach that believers can lose their salvation – Luke 8:6,7,13; John 15; Acts 5:1-11; Rom. 11:22; Heb. 6:4-6, 10:26-29; Rev. 3:5. Calvinists generally use the former passages to arrive at the doctrine of unconditional eternal security and proceed to interpret the latter passages in that light i.e. they argue that since the Bible clearly teaches eternal security, those latter passages cannot be teaching otherwise. They very often come up with the most feeble and dishonest interpretations of those scriptures. Arminians do much of the same. They arrive at their interpretation of the latter (and more difficult) passages, and then question the traditional interpretation of the former (and clearer) passages. I consider myself to be somewhere in between. The problem with both Calvinism and Arminianism is that they are man-made attempts to create a self-consistent system of beliefs regarding salvation and eternal security. They are self-consistent in that they do not contradict themselves, but there are numerous scriptures that contadict them. I prefer a position that fairly considers all the relevant scriptures, even if it is not logically self-consistent. Before we proceed, it is useful to examine some extreme beliefs which are not consistent with the whole of scripture. 1. Once saved, always saved. This is the typical Calvinist view. It is difficult to honestly interpret Hebrews 6:4-6; 10:26-29 and still believe in unconditional eternal security. Also in Rev. 3:3-5, why would Jesus even talk about deleting names from the book of life if it could not be done? There are different forms of once saved always saved. One is “once genuinely saved, will never draw back”. This has some credence given 1 John 2:19. But there are others who believe that once someone “sincerely” prays the sinner’s prayer, they are forever bound for heaven, even if they live for the devil the rest of their lives. The sinner’s prayer is not even in the Bible and the condition for being saved is active, not passive faith, according to James. There will be a lifestyle change associated with genuine faith (2 Cor. 5:17). This does not mean however that a Christian is incapable of sin. Once saved always saved is not true to the entire council of scripture. It focusses on a few proof texts and seeks to explain away others. For a comprehensive critique of Calvinism by a former Calvinist, check out this site. 2. We must maintain our salvation. This view is common among Arminians. Nowhere in the Bible are we taught that it is our job to keep ourselves saved. We are to keep ourselves pure, in God’s love, from idols etc. But it is God who keeps us by His grace. We are kept by his power (1 Pet. 1:5), He keeps us from the evil one (2 Thess. 3:3), He keeps us from falling (Jude 24). It is by the grace of God that we stand and remain in the faith. It is never our job to keep ourselves saved by living right. Living right and confessing of sins are necessary to experience unbroken communion with God. Doing good is necessary to receive a full reward in heaven, but never to maintain our salvation. Regarding the hypothetical question asked earlier, “Suppose a genuine believer sins just before he dies, where will he go?” Arminians will say hell. They say that sin cannot enter heaven. In that case which of us will ever go there? More importantly why then did Jesus die? Didn’t he pay the price of sin in full? Tetelestai (it is finished) was a commercial word meaning the debt is paid in full. He died for every sin ever committed and even those yet to be committed. Sin has lost its sting and cannot deter anyone from entering heaven, only unbelief can (John 3:18). I have even heard a preacher say that a believer who is already in heaven can still backslide and end up in hell. Adam fell in a perfect environment and so did Lucifer, so why can’t we? But according to 1 John 3:1, we would not be like Adam or Lucifer when we are glorified but like Christ. If He cannot backslide and go to hell, then neither can we after we have already reached heaven. Rev. 20:4-6 also make it abundantly clear that someone who is a partaker of the first resurrection can never be harmed by the second death. People have allowed their traditional concept of God (which is more consistent with Allah than Jehovah) to cloud their understanding of God’s amazing grace. We are kept by God’s grace. Jesus knew that Peter was going to deny him … hence the comment about Peter returning to him. And Jesus specifically prayed for his faith to not fail. In other words, he knew Peter would sin, but falling away is something entirely different. Even though Peter was completely clueless as to what was going on, Jesus ‘had his back’. Apply this now to the genuine believer who sins just before he dies. Doesn’t logic dictate that Jesus, knowing in advance what would happen, would stand in the gap for that person, so that even if he sins he would not lose his salvation? 3. We must wait till judgment day to know whether we are saved. 1 John 5:13 and Rom. 8:16 cancel such a notion. God wants us to know now that we are saved. That’s the difference between Christianity and most other religions. We have assurance of salvation even now. My interpretation of scripture is that a believer will not lose his salvation because of sinful acts or complacency. However a Christian may commit apostasy and walk away from Christ. Scriptures like John 10:28,29 etc. emphatically teach God’s sustaining power. It is the favorite scripture of Calvinists to argue that Christians cannot lose their salvation under any circumstance. In those two verses, there are no conditions attached, so Calvinists readily latch on to that fact to teach that eternal security is unconditional. But because a condition is not expressly stated, does not mean that a condition is not implied. God makes promises both with and without expressly mentioning conditions. The promise is presented as if there were no strings attached. Earlier in the book, however, God lays down stringent conditions for receiving such blessing and protection (28:15-68). There is no contradiction here. The promises are to be understood in the light of conditions, even in those places where the conditions go unmentioned. John 10:28-29 does not eliminate the free moral agency of man. It is inconsistent to suggest that someone may willingly come to Christ but not willingly depart. Or that someone can be saved, then not able to draw back because God would not let him. God would drag him to heaven screaming and kicking. Now God would do everything in His power to keep someone, but the Bible never portrays God as overriding the free moral agency of individuals. The Bible does teach that someone can willfully depart from the faith. It does not happen by accident thus I prefer the word forfeitrather than lose one’s salvation. Now we need to beware of going too far to the other extreme. I heard another preacher teach that every time we sin we temporarily backslide (lose our salvation) until we repent, when we are re-saved. Salvation then becomes a matter of beating the clock rather than depending on God’s grace. Such a concept is totally foreign to the New Testament. Actually the New Testament does not even use the word backslide. The word which does appear is apostasy. When this condition is reached, there is no longer any place of repentance. No chance of restoration. Such a condition does not come about by accident but by deliberate departure from the faith. One must decide to make a 180o turn, forsake God, brush aside his conviction, trample the blood, and walk away. One must divorce God. It is willful, deliberate and irrevocable. One would eventually reach a state where it is impossible to return. The word apostasia means a departure. It is deliberate. Consider the following scriptures where apostasia is used (translation underlined). because he hath taught rebellion against the Lord. 24 But when the righteous turneth away from his righteousness, and committeth iniquity, and doeth according to all the abominations that the wicked man doeth, shall he live? In Acts 21:21 it refers to new believers forsaking the ordinances of Moses to follow Christ. In Jer. 29:32 it signifies rebellion against God. It is always deliberate and never accidental or ignorant. In both Ezek. 18:24, 20:27, it is willful transgression. Thus the translation falling away in 2 Thess. 2:3is somewhat misleading in that falling seems to be accidental. But apostasia is a willful departure from the faith. Although that word is not used in Heb. 6:4,5 the word parapipto (fall away) means very much the same thing. It means to willfully abandon. It never refers to accidental sin. A closer look at Heb. 6:4-6 indicates it can only be referring to true believers, not professing Christians. 5) the powers of the life to come. Only genuine Christians fit such a description. One commentator has suggested that this is referring to professed Christians (not true Christians) because in John 7:37, believers drink of the Spirit, not merely taste . This is a desperate attempt to avoid the obvious meaning of the text. A figurative expression from John cannot interpret another figurative expression from Hebrews. Only the context can determine the meaning of a figurative expression. Such a description could hardly fit an unbeliever. No one can become a partaker of the Holy Spirit, taste of the heavenly gift and the powers of the life to come by simply attending church. Another writer says that it does refer to genuine believers but it is not discussing the loss of salvation, instead the “falling away from their Christian confidence and worship function in the house of God” . This has to be a joke. Again such an interpretation can only be arrived at by straining to find a meaning more friendly to the doctrine of eternal security. Hebrews 6:4 uses the expression “partakers of the Holy Spirit” to describe apostates. Calvinists say that this does not refer to a genuine salvation experience. But I can prove them wrong. Look at two other scriptures from the same book of Hebrews. Hebrews 3:1 refers to believers as “partakers of the heavenly calling”, and verse 14: “partakers of Christ”. Any honest bible student who is not enslaved to a predetermined theological agenda can see that “partakers of the Holy Spirit” in Hebrews 6:4 must be referring to genuine believers, thus genuine believers may commit apostasy. Hebrews 10:26-29 says very much the same thing as 4:4-6. Heb 10:26states that if we sin willfully after we receive the knowledge of the truth, there is no forgiveness. But is this talking about any sin in general or a very specific one? Some background information is in order. This epistle was written to encourage believers who were under severe persecution from the Jews and who were being tempted to draw back to Judaism and side with the very enemies of Christ. This was apostasy. I believe this was the specific sin referred to in Heb 10:26, the sin for which there was no repentance. I believe that although it is difficult for us in the 21st century to see that, it was very obvious to Paul’s direct audience. It is when this sin is committed that a believer forfeits his salvation. I believe this is the only way one can cease from being saved. So concerning the issue of eternal security, there are only 2 valid scriptural points of view. One possible view is that a genuine Christian can NEVER lose his salvation. This is the Calvinist position. The other possible view is that a genuine Christian MAY forfeit his salvation, but if he does, he can NEVER get it back. Those are the only possible views on the subject. The bible does not allow for any other view. 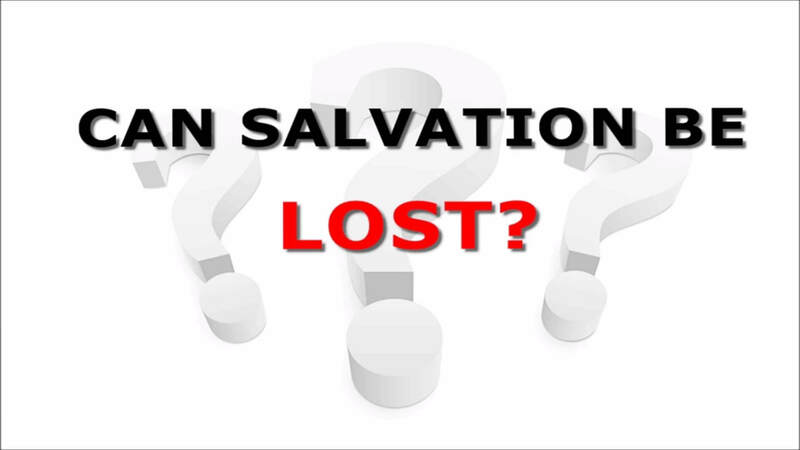 The belief that someone can lose his salvation, come back to Christ, lose it again, then come back again; is categorically unscriptural and doctrinally false. God is more than able to keep us and we can rest assured in that knowledge. We can be confident of our salvation because we stand not by our own goodness and strength, but by God’s grace. However salvation can be forfeited (as opposed to lost) if we willfully depart from the faith. Although it is difficult for us to understand why someone would do such a thing, we do not face the same persecution and provocation as did the Hebrews. It is possible for us to willfully walk out on God and deliberately depart from the faith. Now when the congregation had broken up, many of the Jews and devout proselytes followed Paul and Barnabas, who, speaking to them, persuaded them to continue in the grace of God. So what about the Christian who sins and dies before he can repent? If the person is genuinely saved, then his sin is not going to affect his salvation (unless of course it is the sin of apostasy). The only factor determining whether he goes to heaven is whether he is a genuine Christian or not. As long as he is a genuine believer, he does not have to worry about losing his salvation because of sinful acts. William McDonald, Believer’s Bible Commentary (Nashville: Thomas Nelson Publishers, 1995), 2173-75. Previous PostPrevious Can Christians become Apostates?